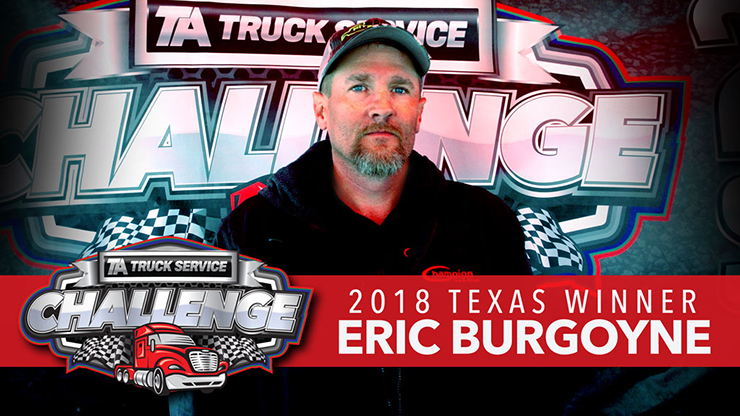 Congratulations to Eric, as he won the second TA Truck Service Challenge of the year. Winning this challenge meant a lot to Burgoyne and his Champion Tire & Wheel team. 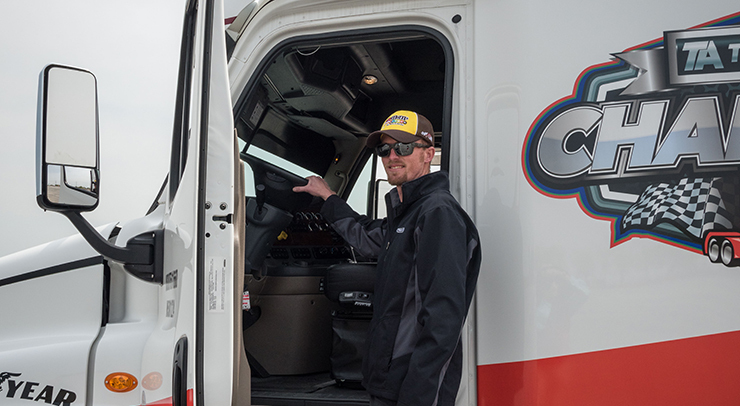 While Burgoyne doesn’t represent a specific race car, he does represent the team that is responsible for taking care of any tire or wheel needs for the NASCAR and Craftsman Truck Series teams at each race. “We set up the equipment and make sure the teams have what they need come race time,” he said. The Harrisburg, Virginia native let us in on his approach to winning, which has also helped him in a previous Challenge. Burgoyne has been a professional truck driver for 18 years. Before driving the Champion Tire & Wheel NASCAR hauler, he spent his time driving as an owner/operator. For Burgoyne, one of the benefits of being a professional driver is that you get to travel all over the country. “I love to drive, so driving all over the United States is rewarding,” he said. When Burgoyne isn’t on the road, he is at home enjoying time with his wife, daughter and three sons. Winning this Challenge event was very special for Burgoyne, but his winnings will benefit more than just him. He said he will be using his prize money on his family during their cruise vacation in a few weeks. Talk about good timing! If you didn’t get a chance to see us in Texas, we’ll be at the Sonoma Raceway in June for the next Challenge event. You can also keep up with the current standings on our website.